It’s three o’clock in the afternoon in Barcelona and 35 degrees in the shade. Wasps are swarming around bundles of compressed drinks cartons made from composite materials. What at first sight looks like a scene reminiscent of the pop art movement is in fact the raw material storage facility of one of the largest cardboard packaging manufacturers in Spain – Barcelona Cartonboard. 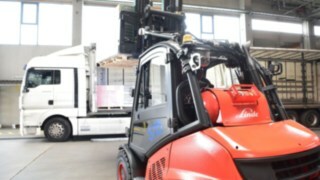 Founded in 1967, the company manufactures in the region of 170,000 tonnes of cardboard packaging each year which, in turn, is an essential raw material used to make boxes and outer packaging for a whole host of products. 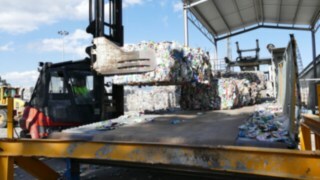 The storage facility just outside of the plant supplies a recycling plant, which breaks up drinks cartons into their individual parts – mainly plastic, aluminium and paper. The aluminium and plastic are not needed at the plant so both can be sold on. The most important raw material for Barcelona Cartonboard is paper, which accounts for around 75 percent of the total material. 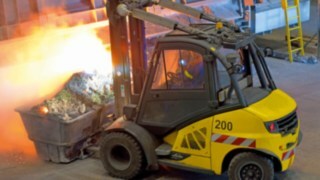 In order to recover the long fibres from the recyclable material, a special facility is required to reprocess coated and wet-strength paper products. 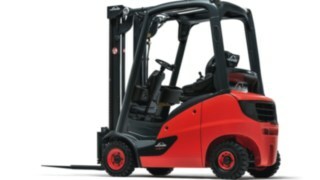 On 358 days of the year, diesel forklifts with paper roll clamps are being used around the clock for loading operations at the plant. Once the materials are separated, a cellulous pulp, often referred to as ‘pasta’, is then created from the paper in large vats. The pulp is then converted to cardboard in a machine measuring 45 metres in length. What comes out at the end of this production line is paper rolls – ‘bobinas’ – weighing 25 tonnes with a width of 4 meters and a roll length of 20,000 metres. They are giant products which are cut down into smaller rolls using other machines on the basis of customer orders. But even these rolls are still quite sizeable, with diameters measuring at least 1 metre. 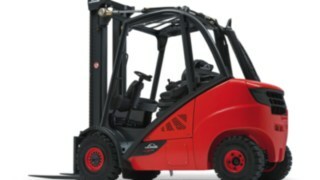 Robust forklift trucks with powerful roll clamps are a must for transporting the rolls. 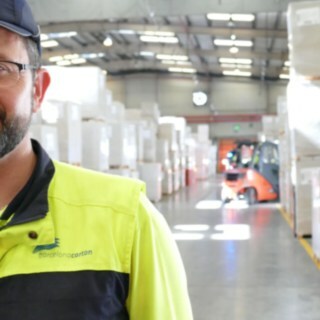 "Our logistics processes revolve around recycling," explains Ramón García López, Head of Warehouse and Material Planning at Barcelona Cartonboard. 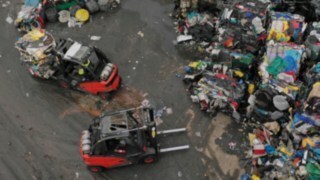 "However, we don’t just sort the raw materials contained within the drinks cartons and recycle them. 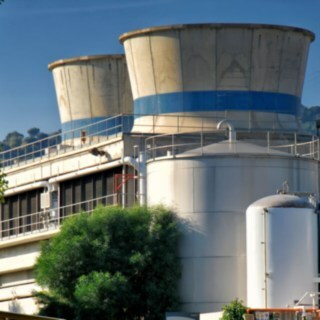 The water vapour produced whilst manufacturing cardboard is also converted to electricity thanks to a combined heat and power generation unit and then reused to power the production process. Any surplus energy we don’t use is then fed back into the public energy supply network." 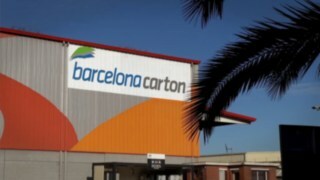 However, you wouldn’t necessarily think that to be the case by looking at the Barcelona Cartonboard warehouse. 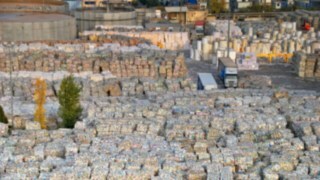 Towering stacks of thick paper rolls and finished paper sheets are stored here on pallets. Orders come from all over the world and the final applications “vary widely” according to García López. The three options – Triplex Gris, Triplex Madera and Triplex Blanco – are each suitable for a multitude of different packaging types within the food, textile or pharmaceutical industries. 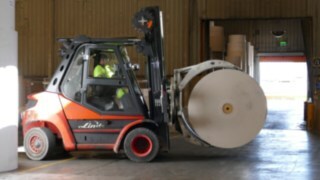 Apart from the actual paper manufacturing process, all of the material is transported using forklift trucks, including unloading deliveries and transporting the raw materials to the recycling plant, transportation within the storage facilities and loading the goods ready for dispatch. 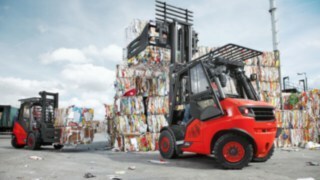 "In the paper industry," says Narcís Clotas, Production Manager, "forklift trucks operate in some very tough conditions. The air is filled heavily with fibre dust, which often causes the filters on the trucks to become blocked. 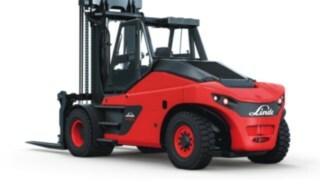 We need robust trucks for our work. 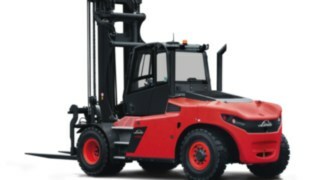 Just bear in mind the fact that the processes are continuously running around the clock for 358 days each year; if trucks stop working, then so do the processes. 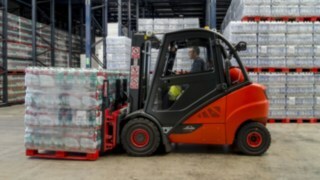 In the Southern European country of Spain, there is, however, one additional challenge on top of this, as the warehouses swelter in extremely high temperatures between April and November. 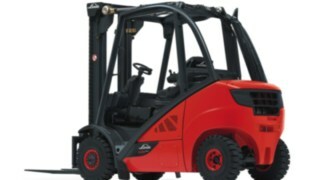 It is for this very reason that all of the forklift trucks are equipped with a full cabin and air conditioning.